As you may remember we recently got a new puppy named Maggie. We love her to death but she has caused many more headaches for us than we had with our other dog Lexy. She is a chewer, we've lost several cat toys, shoes and DVD cases to her. She's also a digger. She used to dig holes under the fence to come visit Lexy when she was still the neighbor's dog. Now she's moved from trying to dig under the fence to digging in the garden and yard. 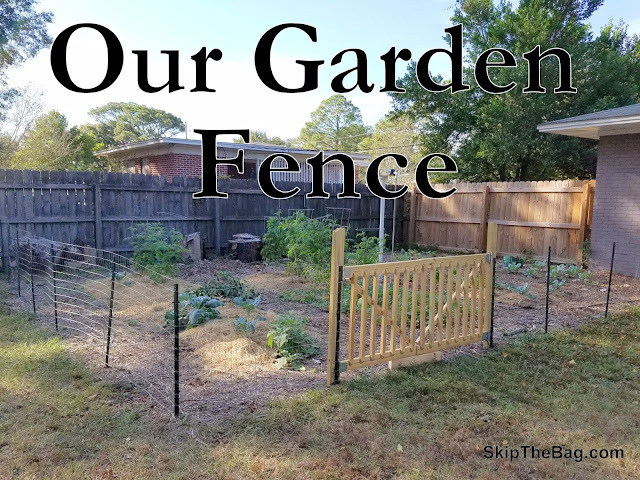 We didn't want to lose our garden due to her digging and the chickens have started to scratch the mulch so we decided to put in a fence. We knew that we needed something that was taller than Maggie to discourage her from trying to jump over. We'd probably have to have a 6 foot tall fence to completely eliminate that risk, but we figured if it was taller than her it would serve enough of a deterrent. 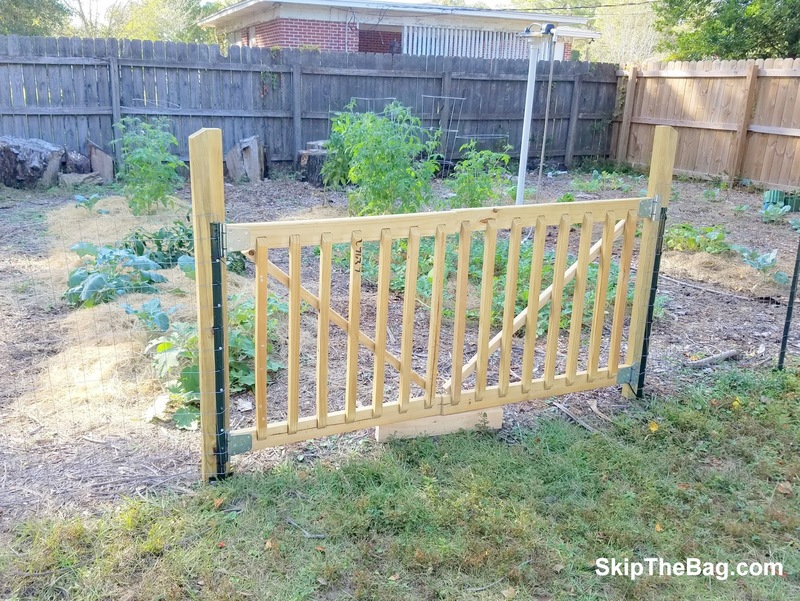 I didn't want it to cost too much because we weren't expecting to buy a fence and I didn't want anything too permanent as I'm hoping the animals would just magically stop going in the garden. The holes are about 2 inches by 3 inches. Big enough that you can see through it, but it keeps the animals out. We went to the home improvement store and looked to see what they had. We finally settled on a 50 foot length of wire. The area we needed to cover was about 56 feet, however. So we knew we would need a gate. Hubby had a cart full of lumber to build a gate when he saw the prefabricated piece of fence that he was able to just split in two to make a door. He attached it to two pieces of lumber so it is more sturdy. We are just waiting to attach the lock, but it's been working great even without that. We've found no evidence of dog or chicken since putting up the fence. No we don't have a fence around our garden but I think we need one. We have deer that like to come visit so it would be great. Your garden fence is so pretty I love it! Yes! This would work to keep the deer out-- as long as they don't realize they can just jump over it! So far my dog hasn't realized that. 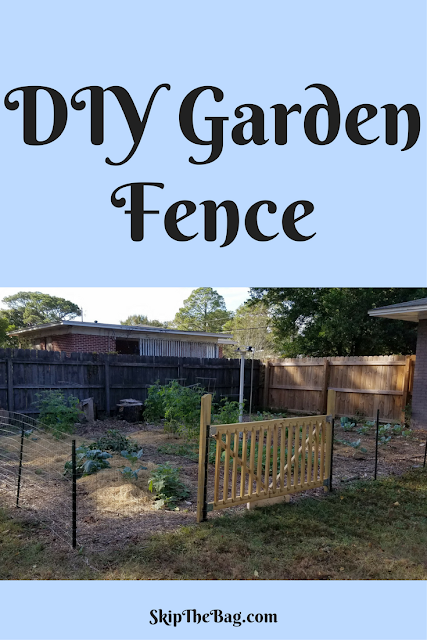 No I don't have a fence around my garden but my neighbor got chickens and he would let them out and they would come over to our yard so he put a plain wire fence anywhere the chickens could get through being the nice neighbor he is. I like your fence it doesn't look bad at all and hopefully you wouldn't have to keep up too long. 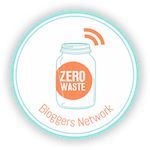 Visiting from #WasteLessWednesday Pinned & tweeted. Have a healthy, happy & blessed day! 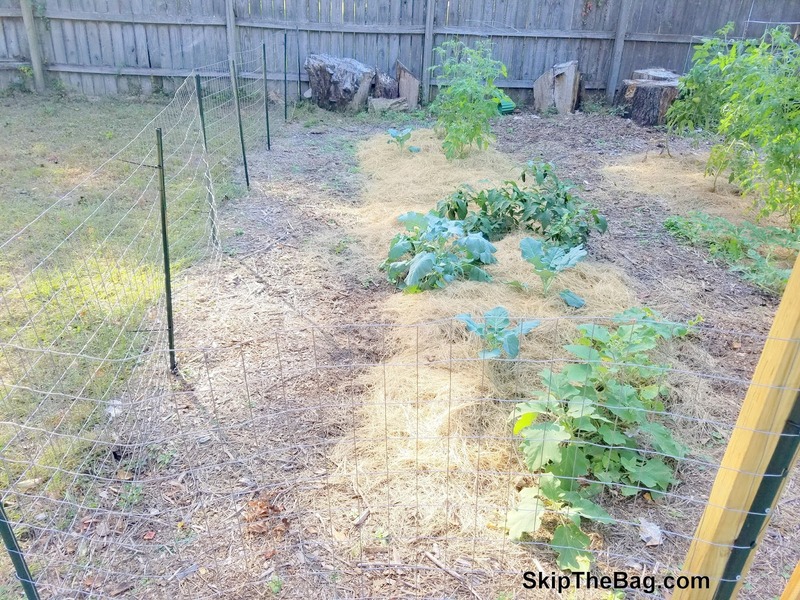 Chickens can make quite the mess of a garden, you'll be thankful there was a fence put up. But hopefully you can enjoy some fresh eggs! Thanks for stopping by. We put a strand of electric around our garden at around a little above ankle height. It keeps deer out and our chickens. But not rabbits. I have a nest of baby bunnies in my kidney beans! That or we don't always have it on or working properly. And my two year old helpfully tore part of it down this week. I wouldn't have thought that a short fence like that would help with deer! I figured they'd be smart like rabbits and just jump. An electric fence is actually something we are considering for the coop to keep the dogs away.